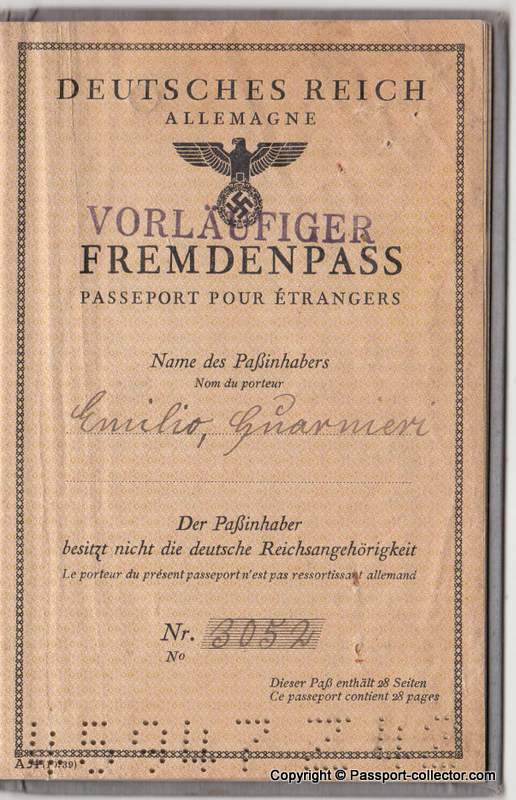 This Third Reich Fremdenpass (Alien passport) was issued to Italian Emilio Guarnieri from Piacenza, born 28 Oct 1916. His occupation is documented as Landarbeiter (Laborer). The next German word I can read as “Entl.” (abbreviation for dismissed), the following wording I can’t understand clearly. 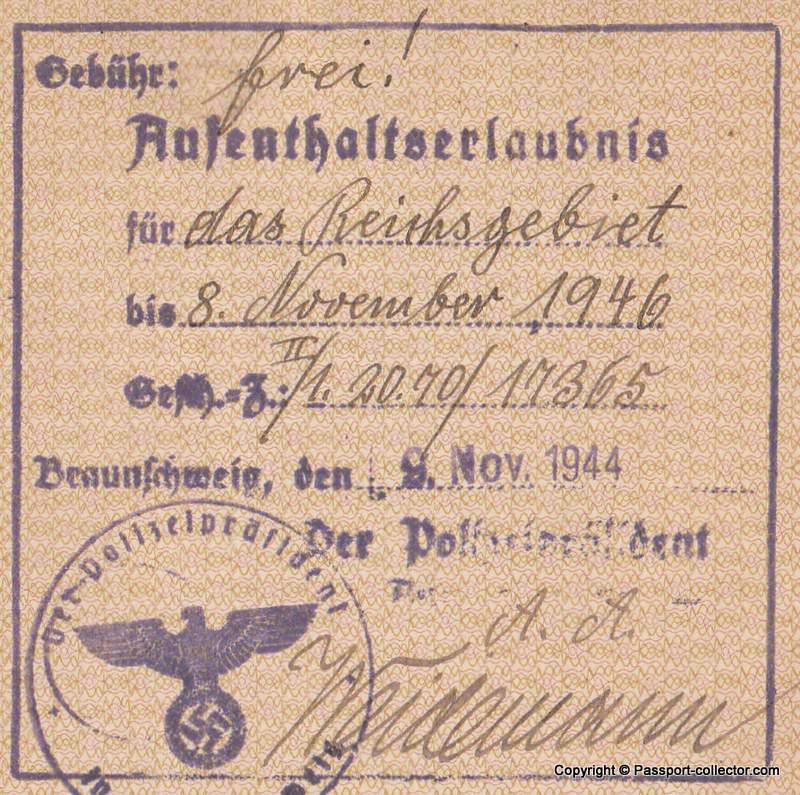 Emilio was living in the city of Braunschweig, where the passport was also issued on 9 Nov 1944, valid until 8 Nov 1946 and only valid for Germany. 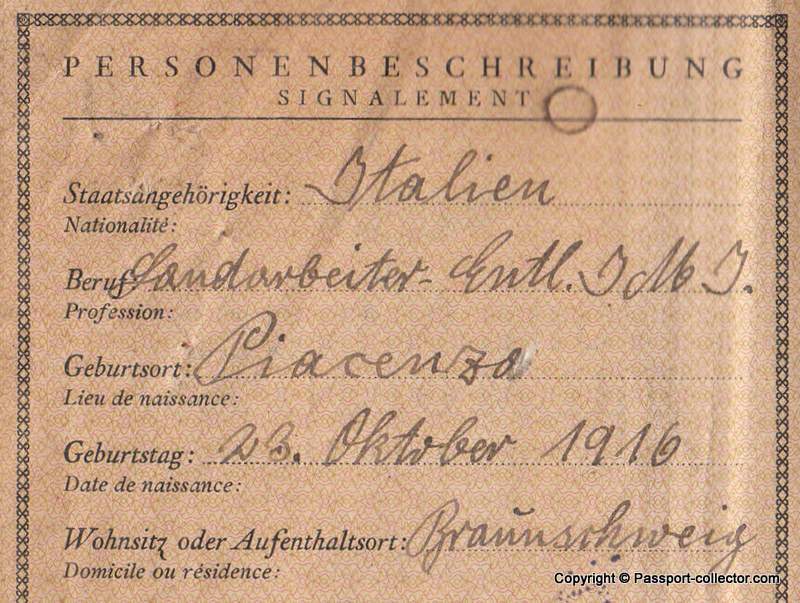 Page seven of his document shows a residence permit for the Third Reich issued by police on the same day when the passport was issued. 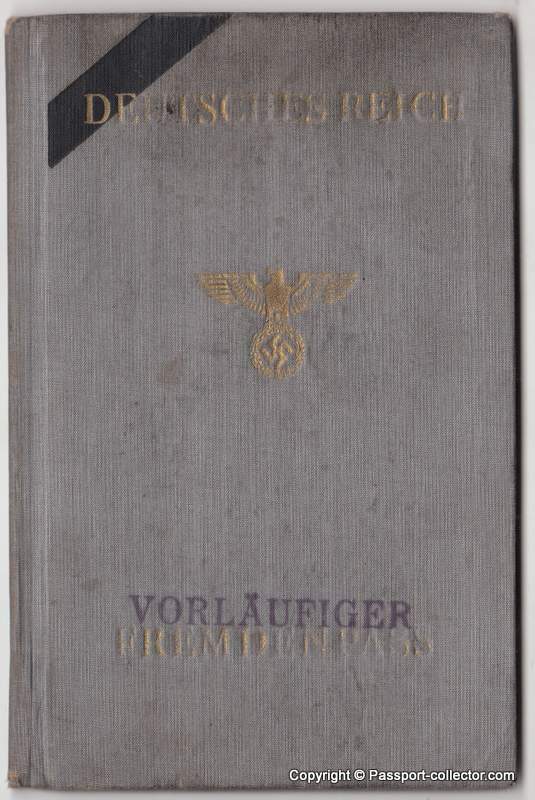 Furthermore on the passport cover is a stamp with the wording “Vorläufiger” which means provisional. The authorities took a normal Alien passport but then stamped it as provisional Alien passport. This is unusual. Also unusual is his passport photo where Emilio is holding a plate with a number, like for a mugshot, etc. 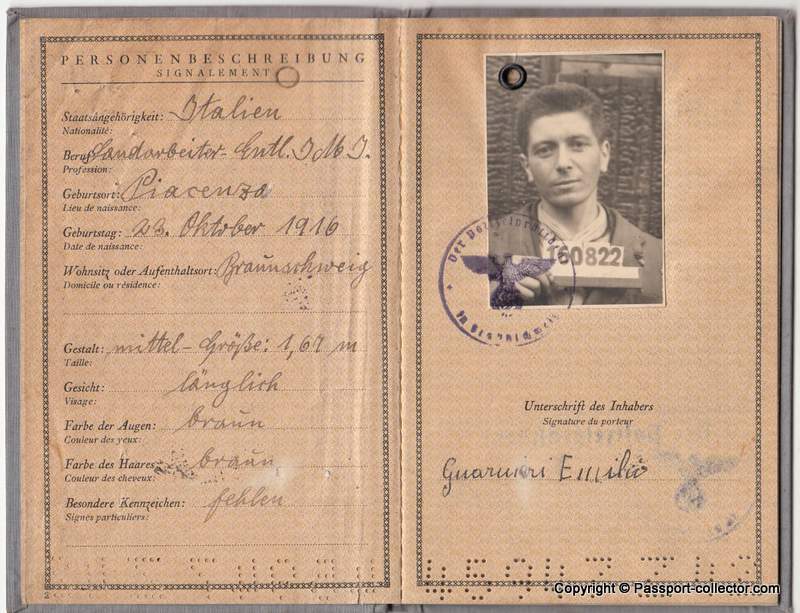 This could indicate that he was an inmate of the Neuengamme concentration camp, which was near Hamburg. Further, the entry as mentioned before – “dismissed” could indicate so. 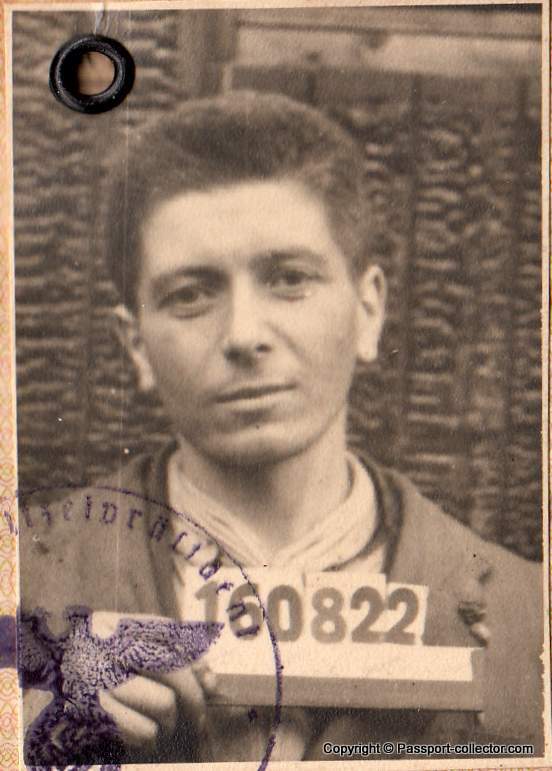 I sent a request to the Neuengamme Memorial site to find out if he was indeed an inmate there. 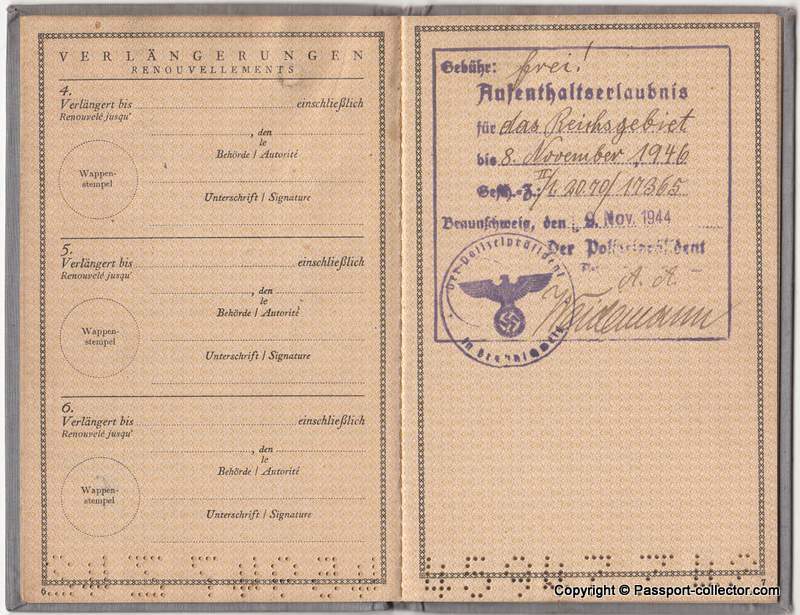 Such Alien passports were issued mainly not for foreign travel, which is the general purpose of such a document, but functioned only as a residence permit within the Reich for stateless and alien persons. 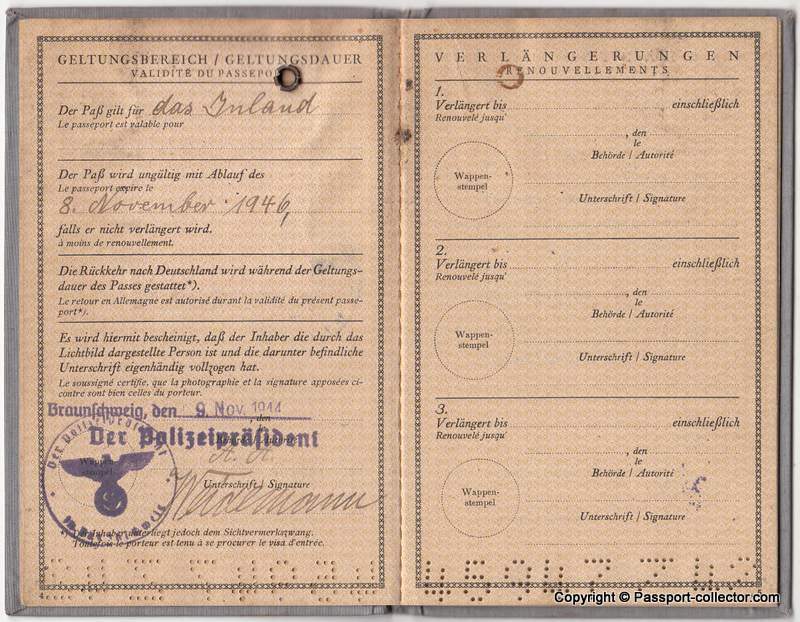 Alien passports with foreign travel are extremely rare and a real treasure for a collector.